The Woodlands is divided into distinctive villages or communities. first of all, Grogan’s Mill, was founded in 1974 and the latest village, Creekside Park, opened in 2007. Each village is unique in that it functions like its own small town. 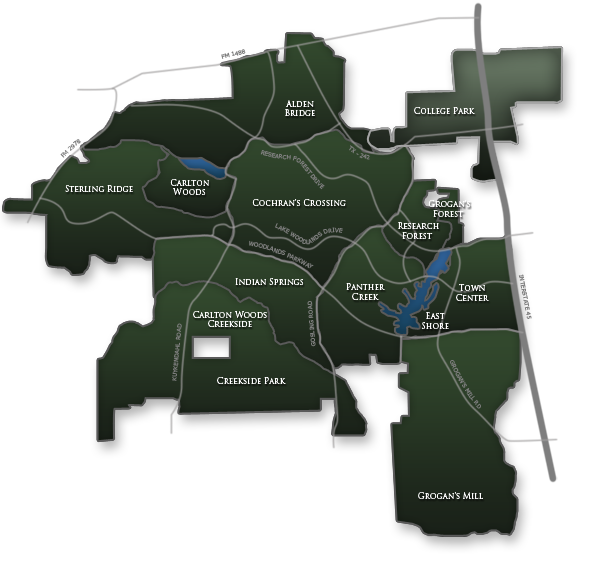 The villages are complete with different shopping centers, village associations, parks, playgrounds, homes and personalities within The Woodlands. Each village has its own village association with officers elected by residents of that village.